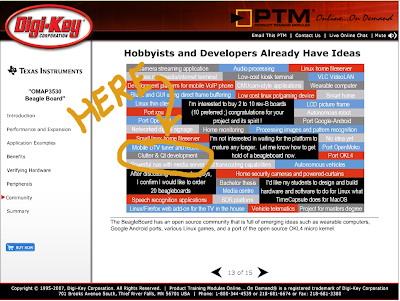 Go to Beagleboard Digi-Key training site. Spot "Clutter & Qt development" from there and compare it with my blog wordie output. That's how. Waiting for mine to arrive from UPS! Edit: OK, OK, those who want faster access, slide 13 with minor tips below.